The National Cordinator Progressive Youth For Good Governance, Hon Ejiro Okpihwo in a statement released to the press rejoin Nigerians to stay firm and be connected to the transformation of the APC led government. Hon. Ejiro a stalwart of APC who is a stalk supporter of Comrade Adams Oshiomole is optimistic that the All Progressive Congress Party will come out stronger after the present tunnel the party is passing through. In his clear words "I am of the opinion that APC will reaffirm his strength, popularity and might over other opposition party In the 2019 election" our party will be stabilized after the National Congress which will see the Comrade Governor emerge as the Party Chairman. In such a challenging time as this, APC as a party needs a rigorous, Rugged, n Grassrooted personality to inspire hope while leading the large and diverse supporter of the party to the 2019 election. 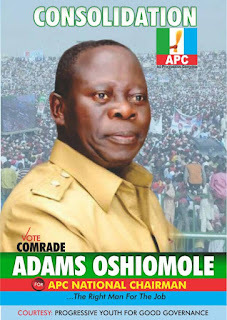 And the only man capable to deliver the task is no other person but Comrade Adams Oshiomole, a political maneuver, an enthusiastic leader of our time is the right man for the job although the opposition parties are not comfortable with that because they are fully aware of the capability of the man Adams Oshiomole and that is a nightmare to them. Hon. 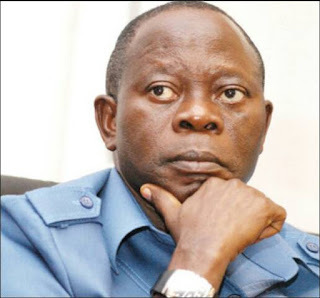 Ejiro also reveal that plans are already at the concluding stage and at the coming Convention in Abuja, Comrade Oshiomole will emerge the party chairman and once that is done, the All Progressive Party will mend it's fences, stabilize internally and take on a robust Campeign towards the Consolidation agenda of the APC Government to Nigeria. In his final words, the national Cordinator task the youths and members of his movement to be Good Governance Ambassador, and that the APC led Government has take a bold steps in addressing bad Governance promulgated by the PDP Government for 16years. 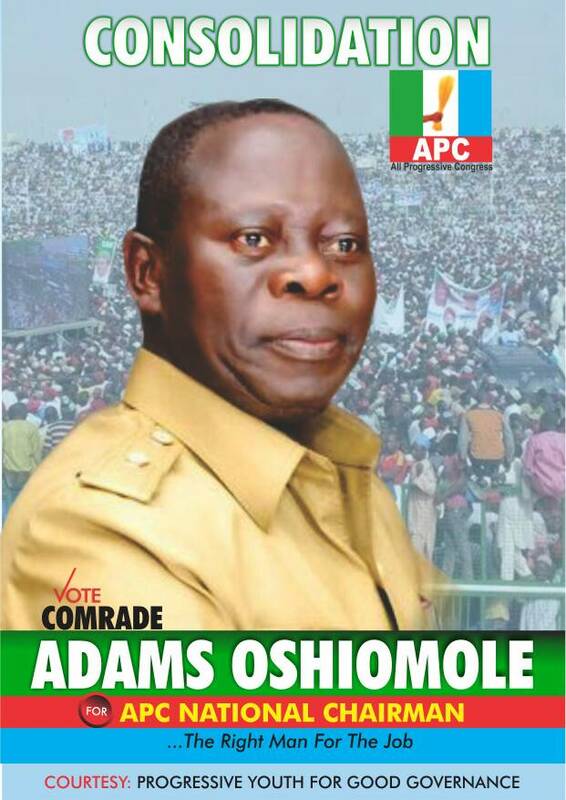 APC is here to stay and Adams Oshiomole is The Consolidation Agent that will actualize that.